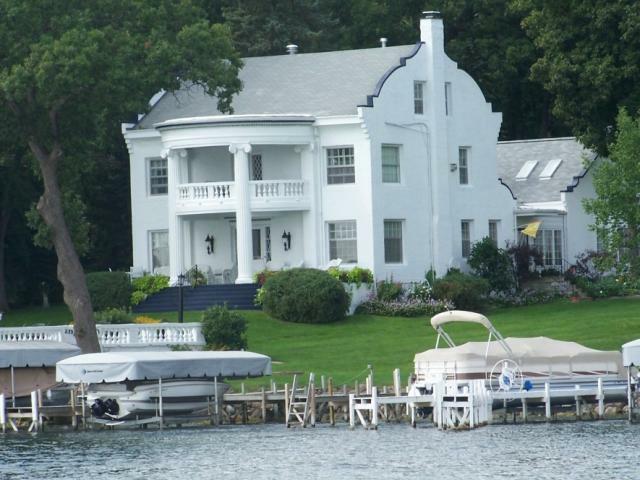 Relax, unwind and refresh your soul at Green Lake's only lake front bed & breakfast. Circa 1910 Greek revival mansion featuring romantic rooms with Ultra Spa tubs, king or queen beds, fireplaces, Flat screen TV/DVD, and private bathrooms with Italian limestone showers. Gorgeous water views and a full gourmet breakfast served buffet style from 8:30 - 9:30 a.m. Coffee & Tea available at 6:30 a.m. Enjoy breakfast inside in our lakefront dining room, or outside on the spacious porch or boathouse deck. Bike the hills of Green Lake, golf some of Golf Digest's top courses, boat on Wisconsin's most beautiful lake, shop unique stores, dine at exceptional restaurants . . . or just sit back and relax while you take in all the beauty that Green Lake offers from one of our balconies or lake front porches.